Thematic. Hit the road. Here. Impending spring is a lovely time of year. Except for the grime that seems to coat everything that isn't hermetically sealed. I think Henrietta needs a bit of a cleaning. Anyone up for a car wash? 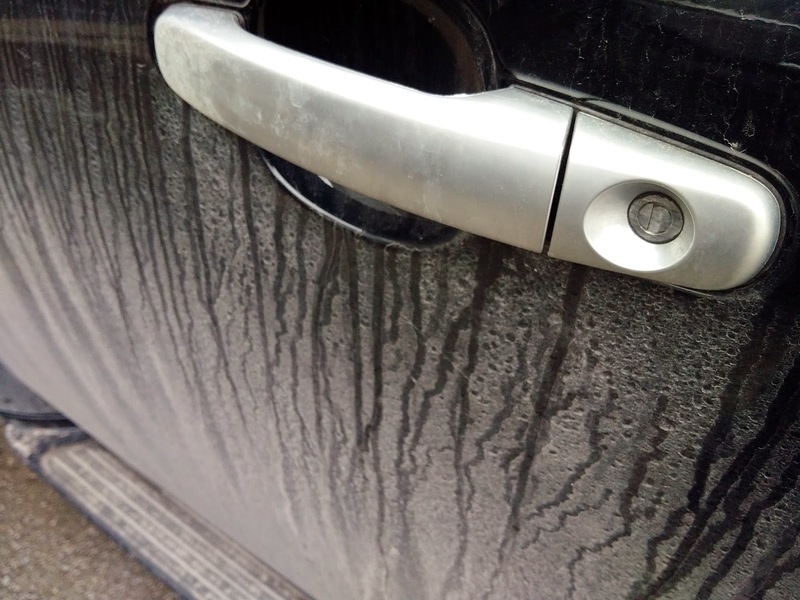 My wife takes her car to the local prison for a wash and wax when it gets like this. It always rains the next day! Car Washes here are at least $3 (US) but you are expected to tip the guy who guides you forward into the wash bay. The Old School Quarter Car Washes are much harder to find. J'adore votre blog, bravo ! Do these look like baby seals?